Nationality: American. Born: Robert Louis Fosse in Chicago, 23 June 1927. Education: Amundsen High School, Chicago, graduated 1945; studied acting at American Theatre Wing, New York, 1947. Family: Married 1) Mary Ann Niles (divorced); 2) Joan McCracken (divorced); and 3) Gwen Verdon, 1960 (divorced). Career: Formed dance team, "The Riff brothers," with Charles Grass, 1940; master of ceremonies in a night club, 1942; enlisted in U.S. Navy, 1945, assigned to entertainment units in Pacific; chorus dancer in touring companies, 1948–50; Broadway debut in Dance Me a Song , 1950; signed to MGM, Hollywood, 1953; Broadway debut as choreographer with The Pajama Game , 1954; directed first film, Sweet Charity , 1968. Awards: Nine "Tony" Awards; Oscar for Best Director, and British Academy Award for Best Director, for Cabaret , 1972; also Emmy Award, for Liza with a "Z, " 1973. Died: Of a heart attack, in Washington, D.C., 23 September 1987. "Inter/View with Bob Fosse," with L. Picard, in Inter/View (New York), March 1972. "The Making of Lenny ," interview with S. Hornstein, in Filmmakers Newsletter (Ward Hill, Massachusetts), February 1975. Interview in Cinématographe (Paris), March 1984. 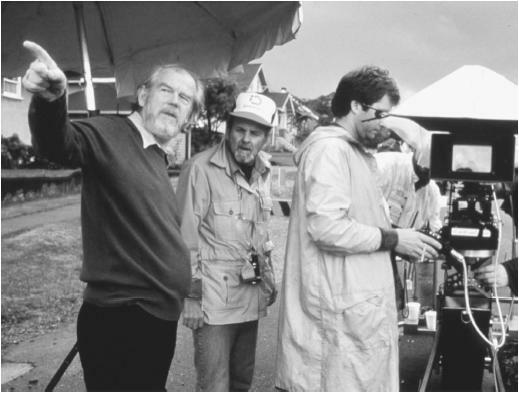 Altman, Rick, The American Film Musical , Bloomington, Indiana, 1989. Grubb, Kevin Boyd, Razzle Dazzle: The Life and Work of Bob Fosse , New York, 1989. Gottfried, Martin, All His Jazz: The Life and Death of Bob Fosse , New York, 1990. Beddow, Margery, Bob Fosse's Broadway , Portsmouth, New Hampshire, 1996. Vallance, T., "Bob Fosse," in Focus on Film (London), Summer 1972. Gardner, P., "Bob Fosse," in Action (Los Angeles), May/June 1974. Badder, D.J., "Bob Fosse," in Film Dope (London), April 1979. Drew, B., "Life as a Long Rehearsal," in American Film (Washington, D.C.), November 1979. Braun, E., "In Camera: The Perfectionist," in Films and Filming (London), January 1980. Valot, J., P. Ross, and D. Parra, "Bob Fosse," in Revue du Cinéma (Paris), March 1984. Mizejewski, Linda, "Women, Monsters, and the Masochistic Aesthetic in Fosse's Cabaret ," in Journal of Film and Video (Boston), vol. 39, no. 4, 1987. Wood, Robin, "Cloven Hoofer: Choreography as Autobiography in All That Jazz ," in Post Script (Jacksonville, Florida), Winter 1987. Obituary in Variety (New York), 24 September 1987. Obituary in Hollywood Reporter , 25 September 1987. Obituary in Films and Filming (London), November 1987. Kemp, P., "Degrees of Radiance," in Cinema Papers (Melbourne), March 1988. Rex Reed once said of Bob Fosse (in a review of his performance as The Snake in The Little Prince ), "The man can do anything!" Somewhat effusive, Reed's comment nonetheless has more than a kernel of truth: Fosse won eight Tonys, one Oscar, and one Emmy over the course of his career. In fact, he garnered four of the awards (the Oscar for Cabaret , the Emmy for Liza with a Z , and two Tonys for Pippin ) in one year. Fosse started his career as a dancer and choreographer on Broadway and divided his time almost equally between directing for the stage and for films. All of Fosse's films are musicals (with the exception of Lenny ) and it is within this genre that he made significant contributions. The directorial choices employed by Fosse stemmed, not surprisingly, from his style of dancing and choreography: a type of eccentric jazz that isolates and exaggerates human motion, breaking it up into small components. It has been noted that there appears to be little difference between the dance material for Fosse's stage and film choreography. But the presentation of the dance is radically different. On the stage, only the performers could create the fragmentation of Fosse's choreography. In film, the use of multiple camera set-ups and editing allowed an amplification of this fragmentation, essentially obliterating the dance material and the mise-en-scène. This style can be seen as the complete opposite of Astaire's presentation, which strives to preserve spatial and temporal integrity. "I love the camera," Fosse once said, "I love camera movement and camera angles. As a choreographer you see everything with a frame." Camera angle and camera image become more important choreographic components than the dancing. The dance routine itself is non-essential, subordinated to a more complex system of integration and commentary, as Jerome Delameter has noted. Fosse's notions of integration and commentary drastically altered the structure of the American musical film. Reacting against thirty-odd years of the Arthur Freed musical, Fosse broke new ground in 1972 with Cabaret. No longer were the musical numbers "integrated" into the narrative with people singing to each other. All dance performances were logically grounded, occurring where they might be expected—on a stage, for example (and never leaving that stage, as Berkeley did)—and was distinctly separated from the narrative. The "integration" took place in the sense that each performance was a comment on the narrative action. In an interview with Glenn Loney for After Dark , Fosse shed some light on his approach. "I don't think there is any such thing as a realistic musical. As soon as people start to sing to each other, you've already gone beyond realism in the usual sense. . . . I have generally tried to make the musical more believable." Fosse did not seek to make the events more realistic, just more plausible and logical. Fosse expounded on his concepts of "believability," "integrated commentary," and visual fragmentation of performance via camera angle and editing with All That Jazz , a film in which musical numbers are literal hallucinations, obviously separated from the narrative but still logically grounded within it.